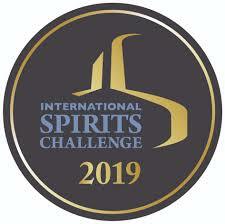 The International Spirits Challenge have announced the results of their 2019 Tasting Awards and a number of Scottish Gin producers were named as medal-winners. The ISC said that winners were established through a rigorous judging process, held over ten days of intense blind tastings by panels of more than 50 respected and experienced industry professionals. Gold: Caorunn Master’s Cut Gin. Silver: Caorunn Small Batch Gin, Granite North Gin, Makar Original Gin, Makar Old Tom Gin, Crabbie’s 1837 Gin, Holyrood Dry Gin, Whitetail Gin, Daffy’s Small Batch Gin, Darnley’s Original. Bronze: McQueen Smokey Chilli Gin, McQueen Chocolate Mint Gin, Wild Island Botanic Gin, Darnley’s Spiced Gin and The Botanist. This is a fantastic result for these gin brands, facing tough competition in an international tasting challenge, where each spirit is blind tasted and awarded a score for aroma, appearance, taste and finish. Scores are collated and recorded by the category chairman before Trophy, Gold, Silver, and Bronze medals are awarded. The awards will take place in London this July, when other winners, including Master Distiller / Blender of the Year will be revealed. We’d like to congratulate all the Scottish Gin brands that received a medal!